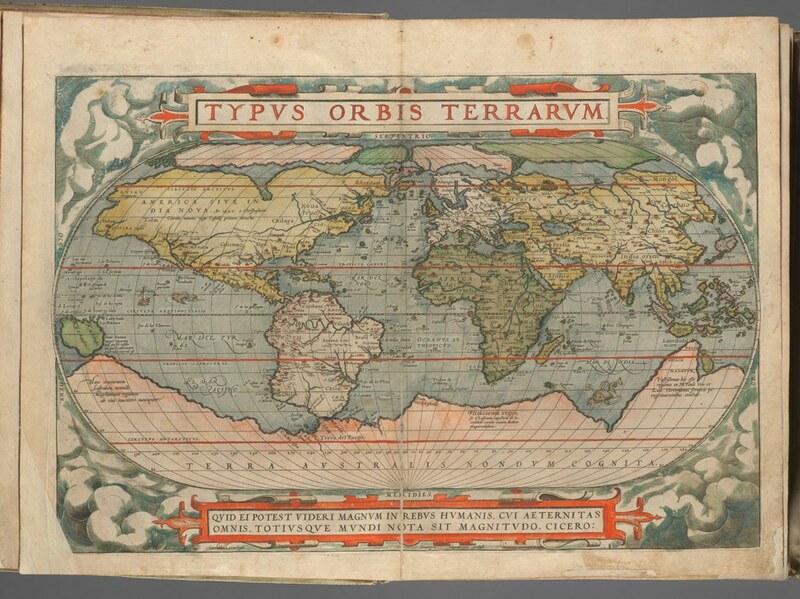 First published in 1570, Ortelius’s Theatrum Orbis Terrarium (Theatre of the World) is considered the first modern atlas, a cultural watershed and commercial success reprinted in twenty-five editions in the author’s lifetime. Buyers could choose either an ordinary version with uncolored maps, or a deluxe version with the maps colored by hand, as in this copy from a Latin edition of 1574. I selected the book partly for its arresting beauty, but mainly for its capacity as a time-machine, for in looking at these old maps, we truly see the world through the eyes of the scholars and explorers who drew them.